Cryolipolysis – or Fat Freezing, is a non- invasive procedure that reduces localized fat. You know, that stubborn pocket of fat that annoyingly accumulates in certain body areas, and that no matter what we do to get rid of it (exercising and eating healthy), we just can’t! The word “cryolipolysis” is the combination of 3 different scientific ancient words. “Krios”, is a greek work for “cold”; “lipo” means “fat” and “lysis” means “the disintegration of a cell by rupture of the cell membrane” . So Cryolipolysis is the rupture of fat cells through cold temperature. The technique involves the placement of an applicator on the area treated. This applicator produces a vacuum suction, pulling the fat into the applicator cup, and then cooling the area. The low temperature affects the fat cells, causing their controlled death. The fat cells then get absorbed and eliminated from the body. Each session takes around 60 minutes, and because this is a non-invasive treatment, the client can return to their normal activities on the same day. Sessions can be done every 8-12 weeks and you can treat up to 4 areas at once. Results can be noticed about 4 weeks after the session, but the final outcome will be seen after 3 months. You can treat stubborn fat in areas such as: abdomen, back, love handles (hips), thighs, arms, knees and chin. You will be able to see results from the the first session, however, the achievement of greater results will also rely on other factors such as a healthy diet and exercise routine. We offer FREE Fat Freezing consultation, where we can analyse the areas you want to get treated and give you all the information you need to know prior to commencing your treatments! PLUS, We’ve got a GREAT Intro OFFER for you: 60% OFF PER APPLICATOR! ONLY $239 (normally $599)!! Book your FREE consultation with us today. Call (02) 8347 0224. We are conveniently located in the Eastern Suburbs of Sydney, Maroubra Junction, inside the Pacific Square Shopping Centre. Tune in to our Facebook page for the latest deals and promotions or follow us on and Instagram! My name is Daniela and I am the Director of Skinnovation Laser Clinic. Today I come to share my personal story! I’ve been battling acne since my teens. Back then I tried lots of things, such as medications, skin produtcs, change in diet etc. Mind you, I wasn’t really educated in skin as I hadn’t even started my beauty therapy studies yet, so I was doing whatever I was being told to do by professionals. Nothing really worked and I ended up giving up for a long time and just lived with it, whilst covering it up with make up on a daily basis. It’s been about 2 years since I decided to give it another try, since now I am educated in skin and have access to the best products and latest treatments (thankfully). And here are my wonderful results! They were achieved by a combination of different treatments and consistent use of Cosmedical Skincare. Laser Skin Rejuvenation with Medlite C6. Click here to read more. Carbon Laser Peel with Medlite C6. Click here to read more. O Pro Dermal Oxygenating Enzyme Peel. Click here to read more. O COSMEDICS Gentle Antioxidant Cleanser – used day and night. Read more. O COSMEDICS 3 in 1 Fruit Peel Mask- used 2x a week to exfoliate skin. Read more. O COSMEDICS O Biotics B3 Plus – used every morning and night. Read more. O COSMEDICS Potent Retinol Serum – used every second night. Read more. O COSMEDICS Rebalancing Cream- used day and night. Read more. Now that I’ve managed to get my skin back on track, I will still continue my skin care regime with the products listed above, and also alternate the treatments listed above as maintenance, every couple of months. Next, I will be starting a course of Skin needling treatments (read more), to improve the mild acne scarring left behind. Book your FREE skin consultation with us today. Call (02) 8347 0224 or book online now! Take advantage of our great Father’s Day deals!! 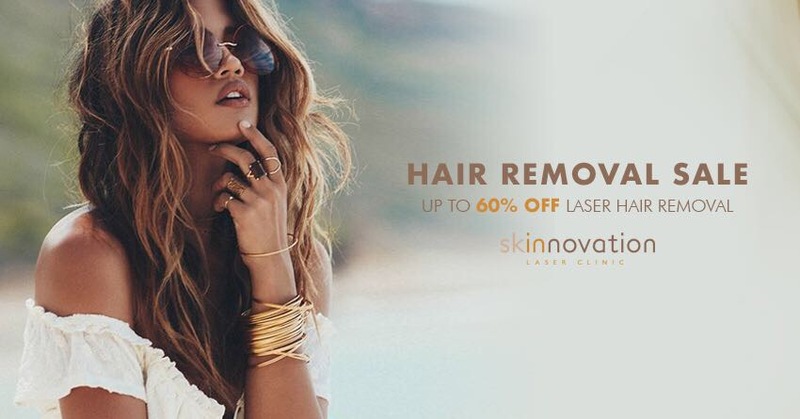 For safe and effective laser hair removal, speak to the highly skilled Laser Specialists at Skinnovation Laser Clinic in Maroubra. Book your FREE laser hair removal consultation with us today. Call (02) 8347 0224 or book online now! About acne scarring and how to easily treat it! Acne scarring is the direct result of deep trauma to the skin related to acne. They usually manifest as areas of pitted or raised skin and can occur on the face or body, changing the overall texture of the skin and do not always improve with time. Acne scars result from the body’s natural attempt to heal itself. Skin pores that become clogged with dead skin cells slowly fill with excess oil and can allow bacteria to grow. These pores (or follicles) can become engorged resulting in acne lesions. When these lesions rupture, the material spilling out into the skin is irritating and cause inflammation which presents as redness, tenderness and sometimes thick white fluid that can be expressed from the acne lesion. To repair this issue, the skin will naturally form new collagen fibers. Raised acne scars occur when the skin overproduces collagen, while pitted acne scars result when not enough collagen is produced. Acne scars can affect one’s self-esteem, confidence, and overall quality of life. The best first step is to treat any active acne lesions to prevent future scarring. However if you are already left with scarring, there are many effective treatments that can improve skin texture and reduce acne scarring. 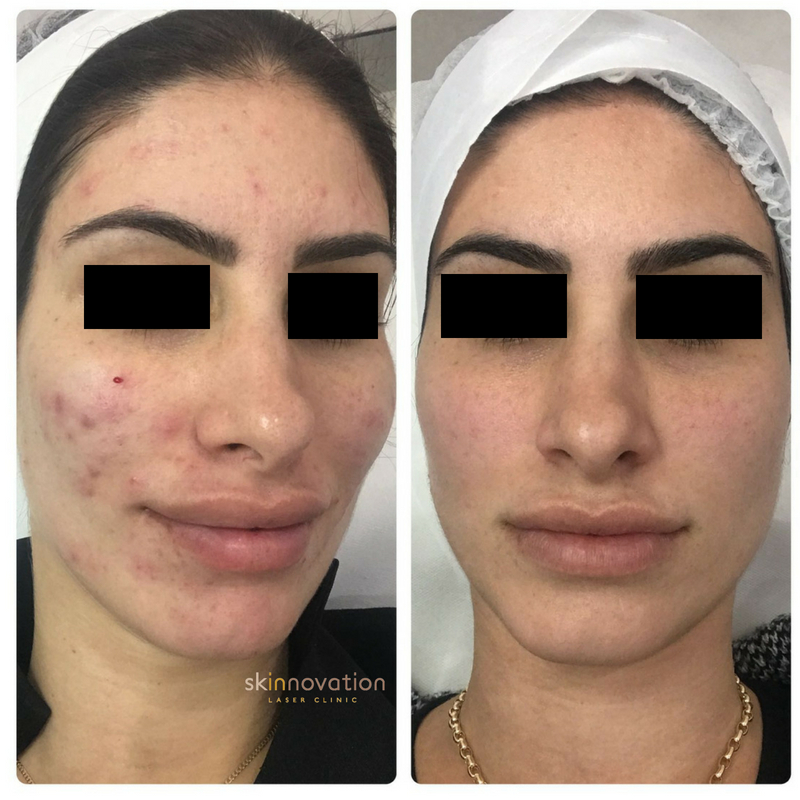 Laser Resurfacing: With Medlite C6 Q-switch laser technology, we can treat more superficial scarring and any post inflammatory hyperpigmentation associated with the acne, as well as significantly reducing acne breakouts. This treatment has no downtime and can be done every 2-3 weeks. Improvement can be noticed from the first session. A number of 8-10 sessions is normally recommended. Derma Roller: Also known as skin needling, this technique uses micro needles that will gently elicit scar remodeling. The treatment is pain free (numbing cream applied to the area), with minimum downtime. Usually 6-8 treatments are recommended. This treatment cannot be done over areas with active acne. From both the above mentioned treatments, you will also see improvement in your skin tone, pigmentation, fine lines, wrinkles and acne. Also, both technologies can be used combined for best results. Once you come in for your initial Free Consultation, we can analise your skin and recommend the best course of treatment for you. BUY 4 SESSIONS AND GET 1 FREE!! For safe and effective treatments, speak to the highly skilled Laser Specialists at Skinnovation Laser Clinic in Maroubra. Book your FREE consultation with us today. Call (02) 8347 0224 or book online now! Check out our autumn Specials and save up big time on packages for Laser Hair Removal, Laser Skin Rejuvenation, Laser Tattoo Removal, Hollywood Peel, Skin Peels, Microdermabrasion, Facials and more!! Check out our Spring Specials and save up big time on packages for Laser Hair Removal, Laser Skin Rejuvenation, Hollywood Peel, Skin Peels, Microdermabrasion, Facials and more!! Skin Treatments Flash Sale! Up to 60% OFF Selected Treatments! Treat yourself for Melbourne Cup Day!!! 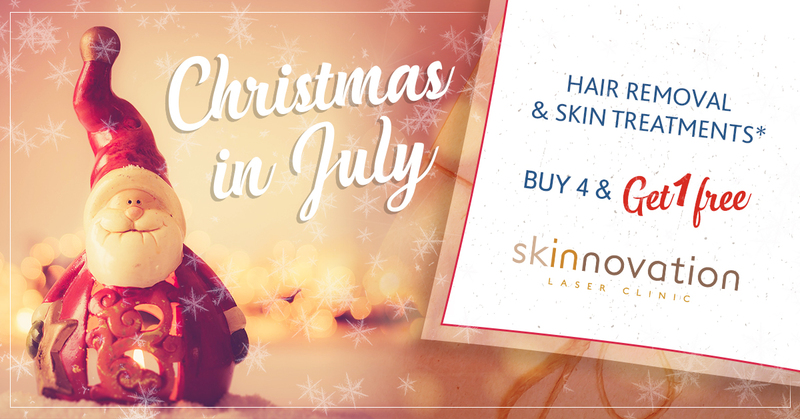 Laser Hair Removal Flash Sale! UP TO 60% OFF! Yessss we love a good Laser Hair Removal Flash Sale!! Sale ends October 31st. Don’t miss out!